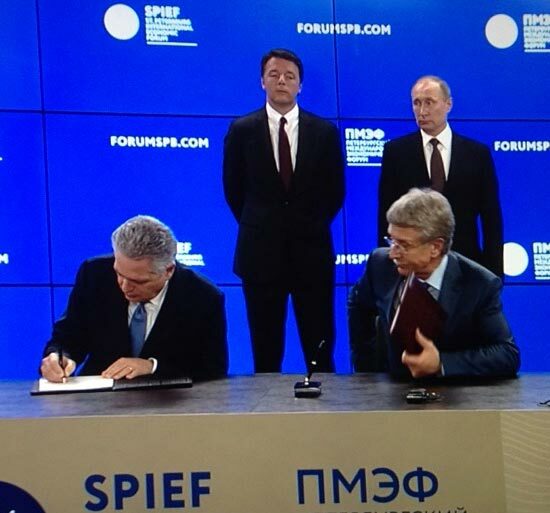 In the presence of the President of the Russian Federation, Vladimir Putin, and the Italian Prime Minister, Matteo Renzi, Saipem has entered into a strategic partnership and co-operation agreement focused on liquefied natural gas (LNG) activities with Novatek, the largest independent natural gas producer in the Russian Federation. Saipem and Novatek will explore opportunities for mutual co-operation regarding the execution of Novatek’s future LNG projects. The aim of the agreement is to strengthen and develop strategic partnership and cooperation between the two companies in all spheres of mutual interest. Saipem and Novatek will jointly use their potential with the aim of improving their efficiency and competitive positions in the market. Saipem has wide-ranging experience in the LNG sector, having designed and built a number of gas liquefaction plants and regasification terminals around the world.